The wind effects the trajectory of a bullet, but not all hunters and shooters have the training or experience to adequately compensate for the effects of it. 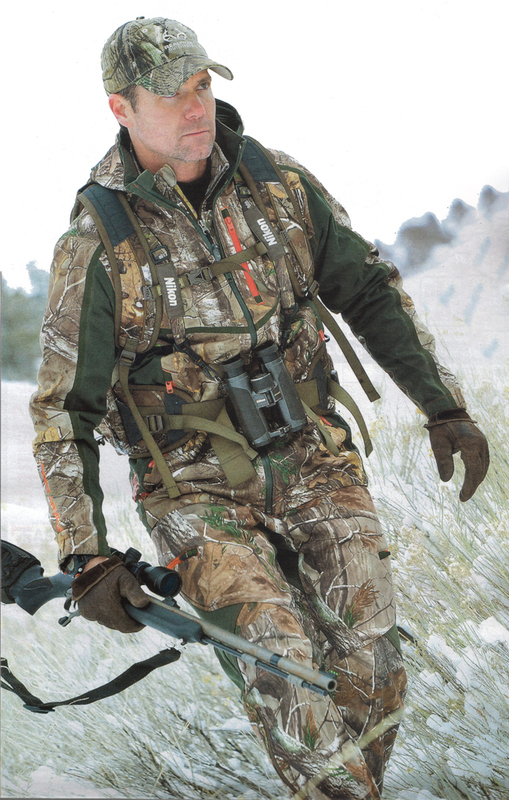 Now, thanks to two new product lines from Nikon Sport Optics, hunters have an effective and easy-to-use system to help solve the wind drift problem. 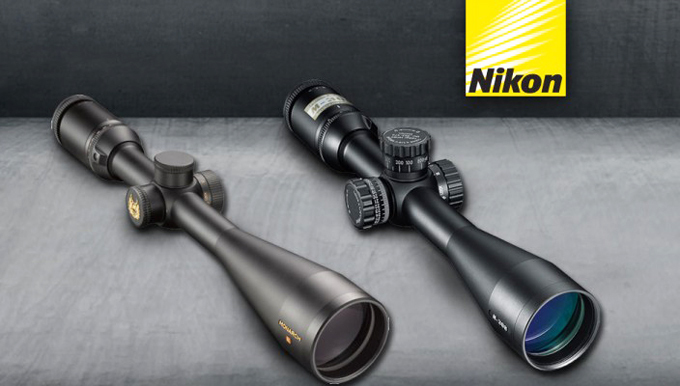 Nikon has announced the MONARCH 5 riflescope line, expected to be a flagship product for years to come. The new scopes feature Nikon’s ED (Extra-low Dispersion) glass lenses, plus the new Advanced BDC reticle with a 5-time zoom ratio for both superior closequarters and long-range effectiveness. The new glass-etched Advanced BDC reticle, has unique open circles going down the vertical sight post that are used as aiming points to compensate for bullet drop at extended ranges. 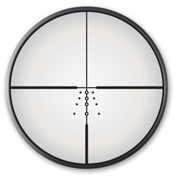 What differentiates this reticle is that it also has windage marks on both the left and right side of the post. Each windage mark is calibrated for a 10-mile-per-hour cross wind when the rifle is zeroed at either 100 or 200 yards. Even if the cross wind is more or less than 10 mph, shooters now have a reliable benchmark to compensate for the effect that a strong gust of wind can have on their point of impact. 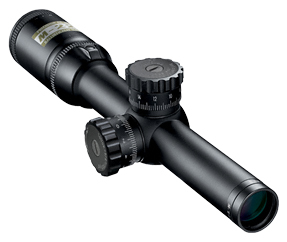 Nikon’s AR scope line-up has expanded with the release of the new M-223 1.5-6x24 BDC 600. This new M-223 is made with a 30mm tube, giving it a wider adjustment range. There is also an illuminated reticle version, making this compact scope even more effective in low-light situations. Both versions come with Nikon’s BDC 600 reticle that’s calibrated for the trajectory of the .223 Remington/5.56mm NATO round with 55-grain bullet. It offers shooters unique open circle aiming points at 100-yard intervals and additional hash-marks at 50-yard intervals to effectively compensate for bullet drop. The illuminated reticle operates on a 3V lithium battery, and both versions utilize Nikon’s Ultra ClearCoat® optical system that provides shooters with a bright, sharp and incredibly flat sight picture. 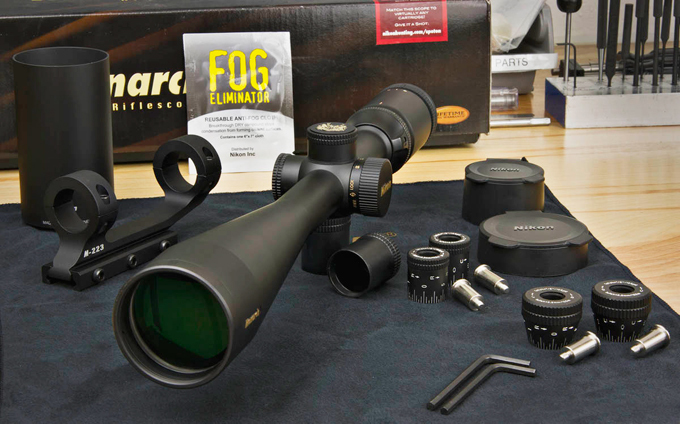 These scopes are also waterproof, fog-proof, and shock-proof.